We are still pretty ecstatic about having the corral up and running. For example, when Dr. Matthew Cobb, our veterinarian, stopped by this week to do a physical exam on this newcomer to the farm, Steve and I stood around grinning (and snapping photos). 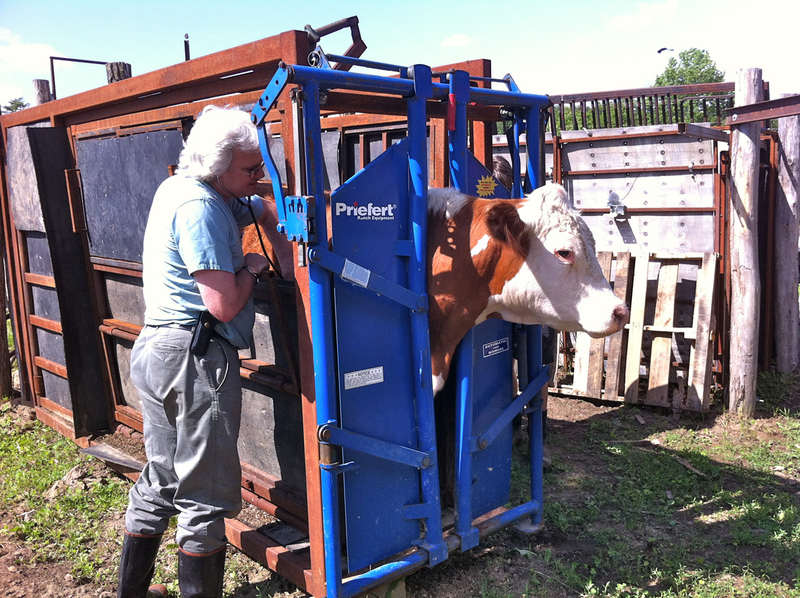 Whenever we buy cattle elsewhere, the animals all get a thorough exam and a clean bill of health before they are allowed to mix with our herd. The corral makes this sort of job a lot easier. Steve, Craig, Patrick and I all went to hear Dr. Temple Grandin give a talk about animal handling yesterday. 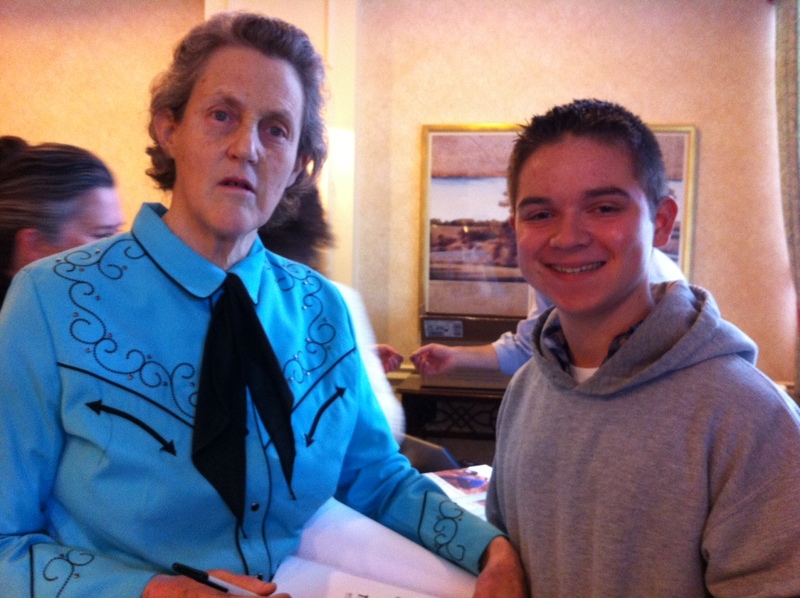 In case you have not heard of Dr. Grandin despite her television appearances, articles, and the HBO movie about her life—Dr. Grandin is the scientist who revolutionized the livestock handling field through her unique insights into the animal mind. Even though we have already read her books, we were all blown away by her talk. I was especially intrigued by her rant against what she calls “abstractification” of regulations. Her work really is all about concrete and practical solutions to problems. Very inspiring. It has been said that farming is 2% farming and 98% fixing stuff that’s broken. Which is why it is so great to have Dan Parish working at the farm. Dan can fix anything. Plus, he plays a mean flamenco guitar. On top of that, he is a poet and lover of philosophy. So while he is fixing things, Dan keeps us cultured and helps us seek after truth. that urge the growth of future seeds. The farm store has been moved back to the main farm at 226 Charles Bancroft Hwy. We will be open on Saturdays from 10am-2pm. Enter your email address to subscribe to this blog and receive our weekly posts by email.